When a female coyote was found on Mission Santa Ines property in Solvang, Calif., a real-life group of heroes sprang into action. 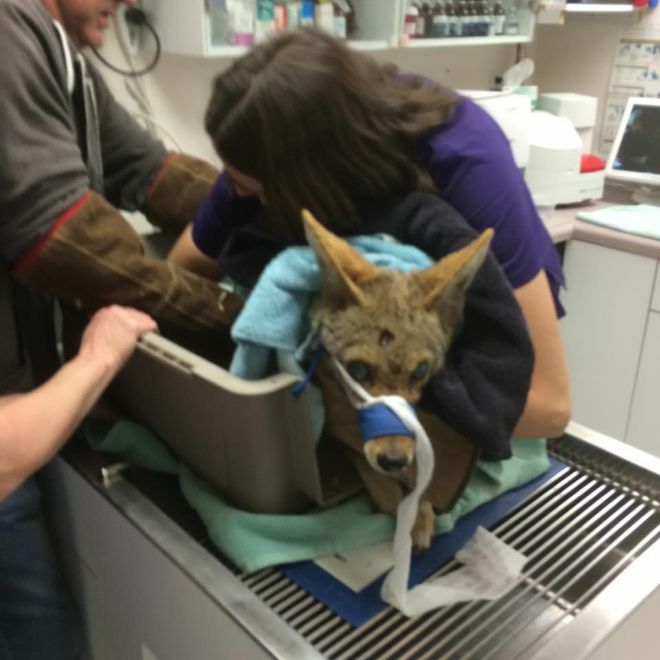 According to a post on Facebook, the heroes, the Santa Ines-based Animal Rescue Team, captured the coyote, who had fallen into a reservoir, and took it to an animal hospital in Solvang for emergency treatment. Vets determined that the coyote had probably ingested rat poison, was nearly completely blind, dehydrated and starving. A full-grown coyote should between 30 and 50 pounds. This one only weighed 22.8 pounds. The coyote had also been shot in the frontal lobe. After nursing the coyote back to health, the Animal Rescue Team was surprised to learn that the coyote was also pregnant. 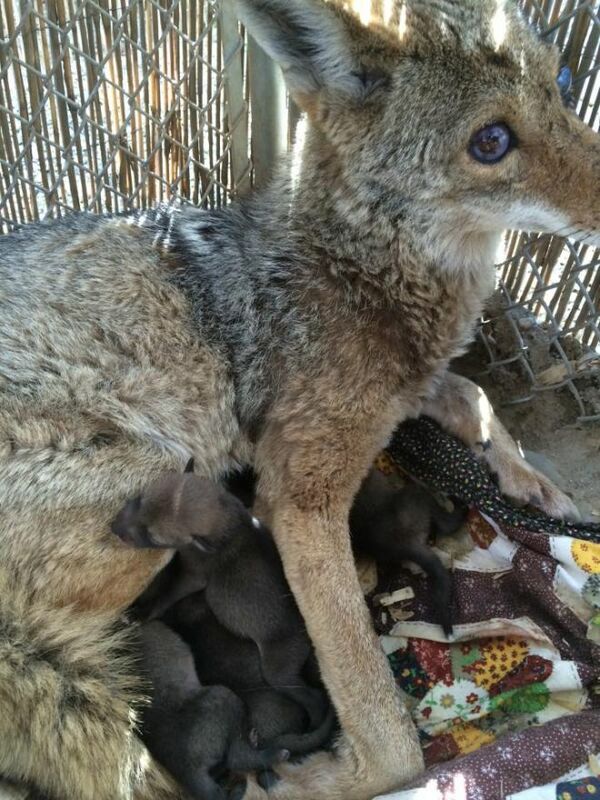 Six weeks after being found by the Animal Rescue Team, the coyote gave birth to four pups. 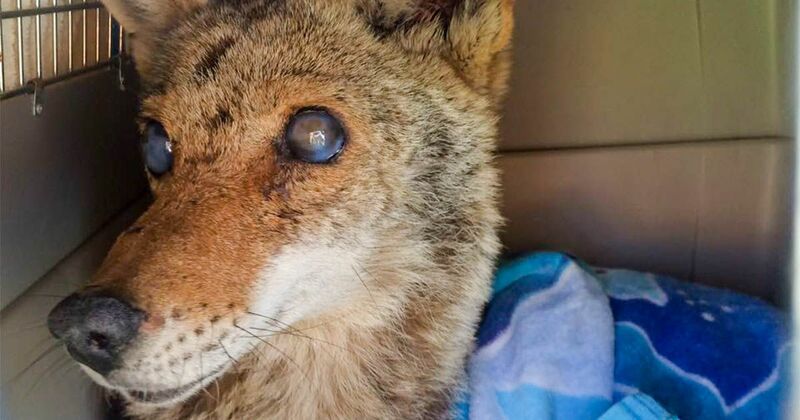 According to the Animal Rescue Team’s Facebook page, the coyote is an amazing mother, even though she is blind. Once the puppies are grown, the Animal Rescue Team will release them into the wild, and turn the mother over to a wildlife facility. The Animal Rescue Team is an organization that, according to its website, “rescues and rehabilitate injured, orphaned and displaced native wildlife.” The organization relies on charitable giving to keep operating, so the group is asking for donations to help it continue saving animals.